Impress your customers by serving all of your delicious souffles and creme brulee desserts in this Hall China 8660ABWA bright white 8 oz. fluted souffle / creme brulee square dish. 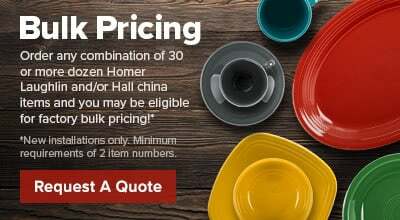 Hall China provides the best heat and cold retention available, keeping your desserts ready to serve at any time. We love these dishes for Creme Brûlée, Fruit Crisps and Bread Puddings. They are very sturdy and the perfect size for individual portions. They standup to everyday use in a busy restaurant!